Fleeing a troubled past, Sarah Faust has found the perfect place to begin a new life. Tucked away on a charming side street and surrounded by lush grounds, the neglected three-hundred-year-old townhouse in the port city of Charleston offers a refuge and a place to start over. But all is not as it seems at 5 Rue Lane, and she soon finds that her new house harbors something that has been there for a very long time. Something that refuses to stay buried. 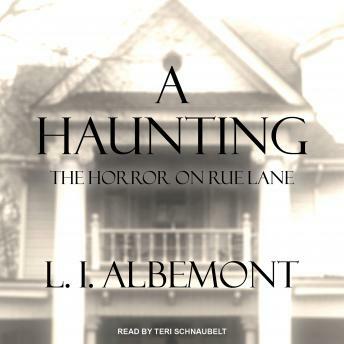 In A Haunting, L. I. Albemont brings us parallel tales of old and modern horror, weaving colonial era events into a modern ghost story you won't soon forget. I liked this until the last third. It's almost like a book is all build up and the author doesn't know how to end it. Many things went unanswered. I had a lot of questions at the end..